How do I exclude bus nodes in my Arc Flash hazard analysis report? 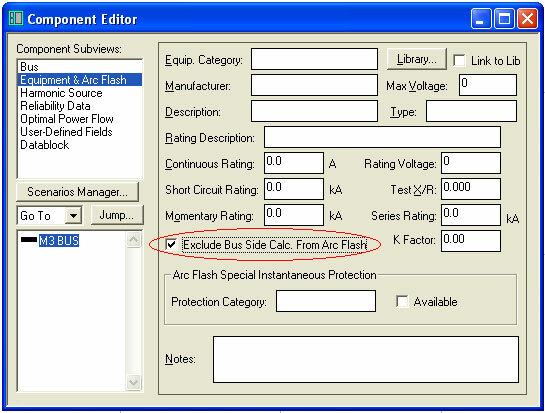 To exclude bus nodes from the Arc Flash Evaluation table, datablocks (one-lines & TCCs), and reports, open the Component Editor of your desired bus and select the Equipment & Arc Flash Subview. Check the "Exclude Bus Side Calc. From Arc Flash" option and re-run the Arc Flash study.